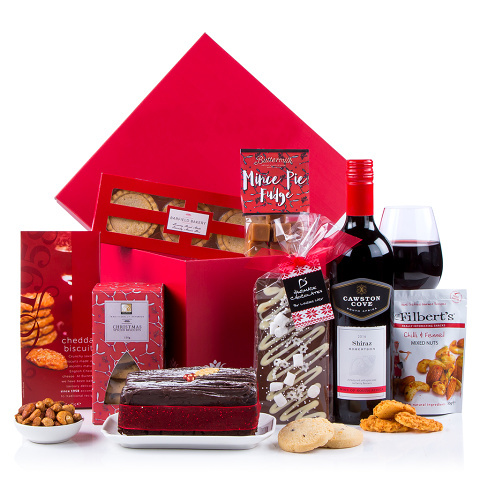 The Christmas Treat Box is a firm favourite and displays tremendous class at every opportunity. The Cawston Cove Shiraz is top-notch and sits comfortably amongst this selection of traditional luxury Christmas treats including mince pie fudge, chili and fennel nuts and chocolate cake. An all round great Christmas gift.